This is the fourth post from our Spring Break Trip. When we pulled up to the campground at Horsethief Lake, the ranger was also pulling in to check on things there. He gave us all kinds of information about the campground and what was happening. 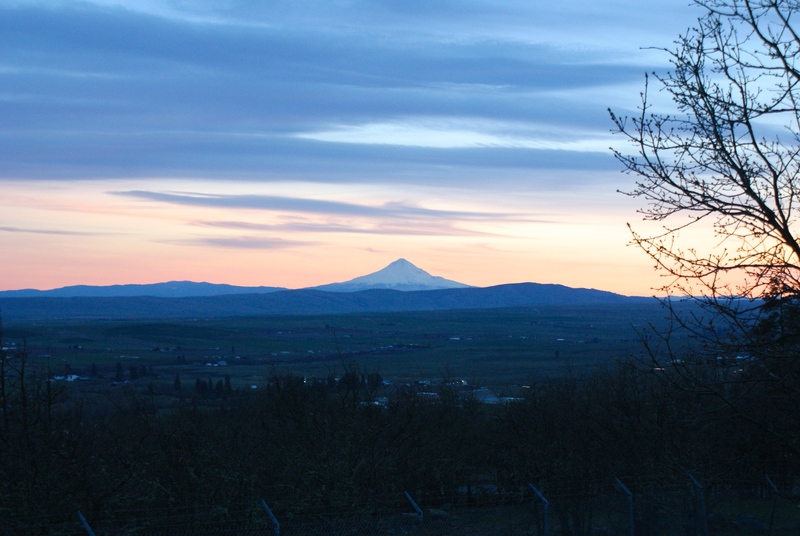 He suggested we go up to the Goldendale Observatory to see the large telescopes there. We decided to take advantage of that opportunity, since we didn’t know what the weather would do in the next few days. So after we finished setting up camp and ate dinner, we piled in the car again to make the short (30 minute?) drive from there to Goldendale. We arrived at the Observatory, which is a State Park, as dusk was lowering on the landscape. Some high clouds were filtering in, and we weren’t sure there would be any viewing, but the docent was busy focusing the large telescope when we walked into the viewing area. The telescope is in a room that is open to the outside. The lights are dim to allow visitors to keep their night vision. The temps were cool, though, so I was glad we had coats and warm hats along to bundle up. The first thing our docent focused on was the moon. We could easily see craters and variations in the surface. Even though we’ve seen the moon through a telescope before, it still takes my breath away to look at it with such detail. As the skies darkened, she changed the telescope to point toward Jupiter. We could actually see the stripes on that planet, and 3 or 4 of its moons in a line. What a thrill! The volunteer let some of the kids run the remote that moved the roof around to point the window in the correct direction; they loved this part – such power! Then we got to look at Mars, which came up through an opening in the clouds that were becoming more thick. We tried to see some other stars in familiar constellations, but the clouds were blocking them. We stayed until it got late enough that the kids should have been in bed long ago. If you go: The Observatory is a State Park, and thus requires a Discover Pass to access. But otherwise it’s free to come to open nights. During the summer months it’s open Wednesdays through Sundays, 10 am till 11:30 pm. They are open additional hours during special events. There is a small Visitor Center where you can come to ask questions, and if you come during daylight hours, you’ll get a nice view over Goldendale and the surrounding countryside. 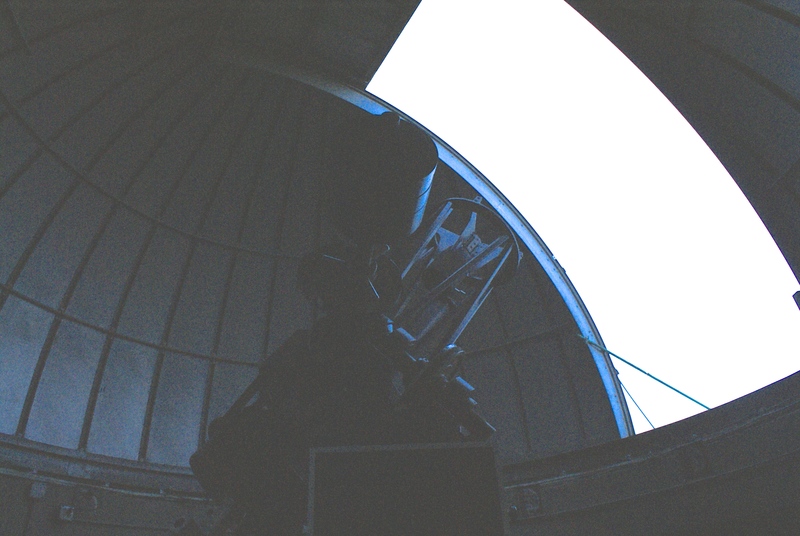 Visit the Friends of the Goldendale Observatory website for more information about the telescopes and any events that are happening.